We’re 9 days into our 12 Days of Christmas Ornaments-can you believe it? 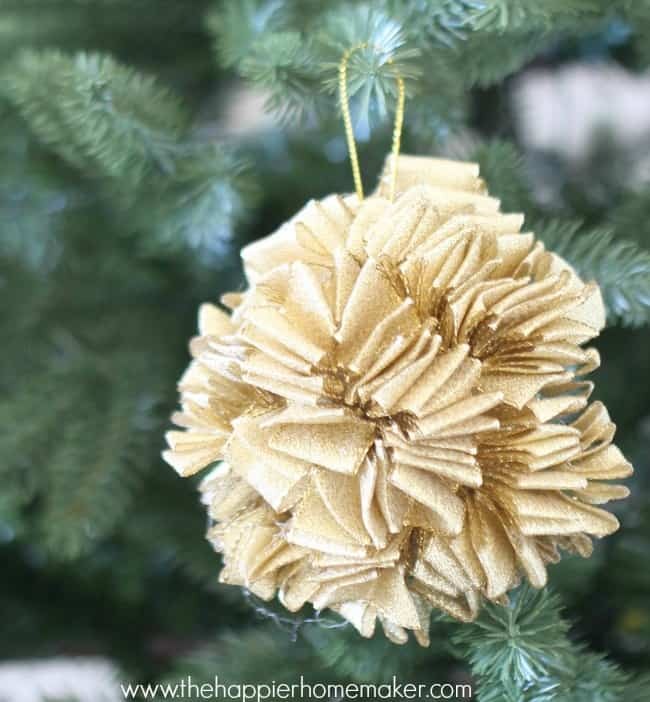 I’m pretty excited about how today’s Ruffle Ornament turned out-it was an idea I had and honestly I was doubting that it was going to turn out how I had imagined as I got started creating it but in the end it was perfect! 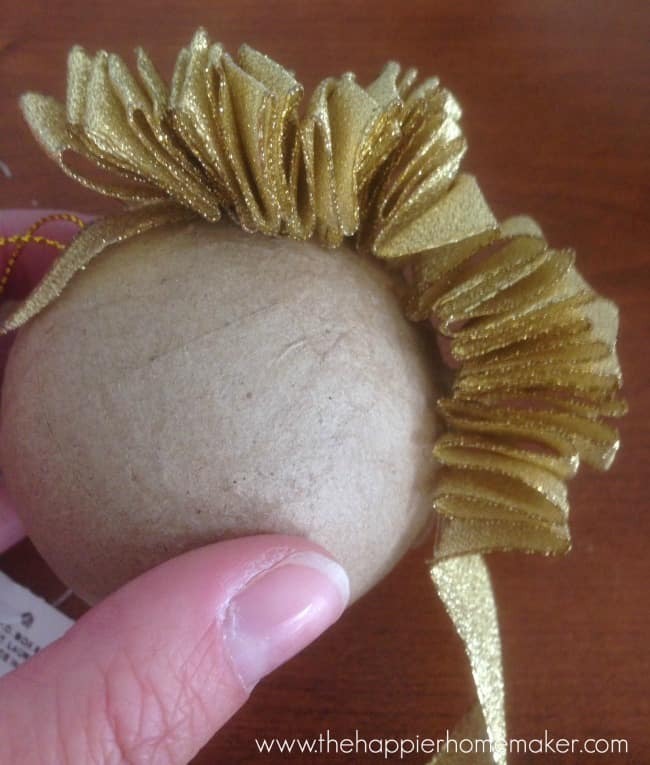 For this ornament you’re going to need a paper mache ornament base, hot glue, and 1/2″ wired ribbon-I used two rolls for my ornament. 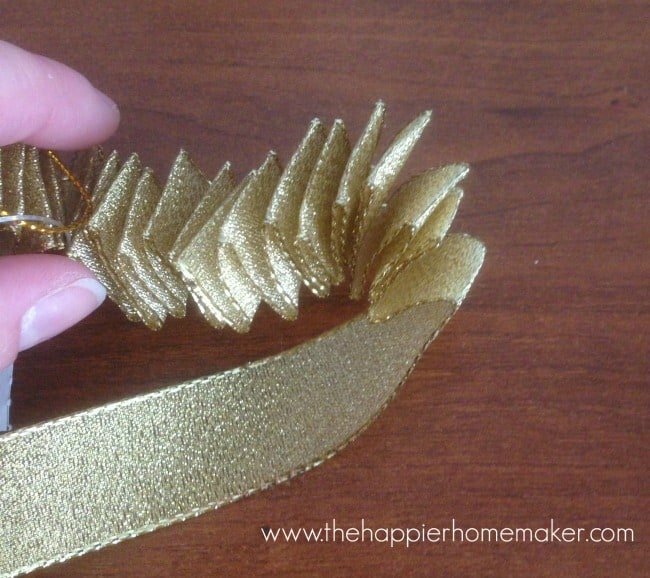 Start by ruffling the ribbon in 6 inch sections with your fingers (this is why you need wired ribbon-ruffling at the same time as gluing would take for-ever! 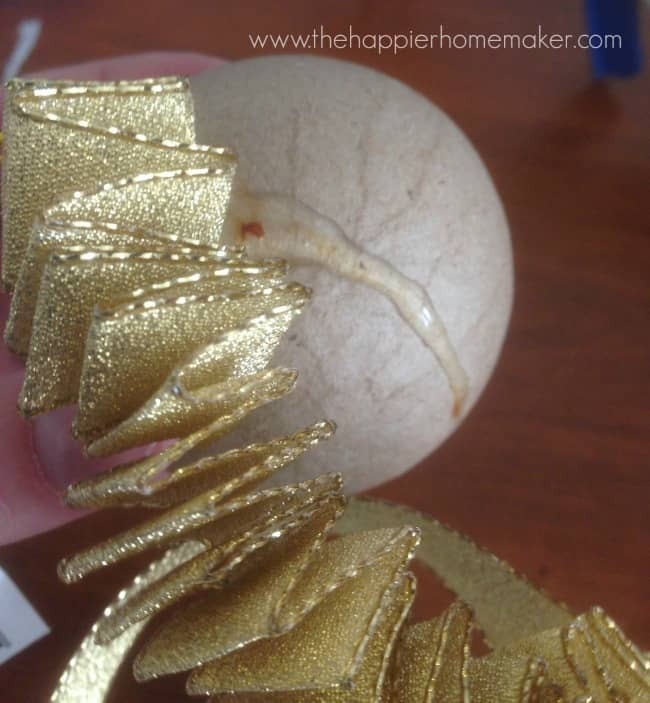 Hot glue the end of the ribbon to your ornament and begin gluin the base of your ruffle to your ornament-try to work organically not in straight lines, it will improve the final result. 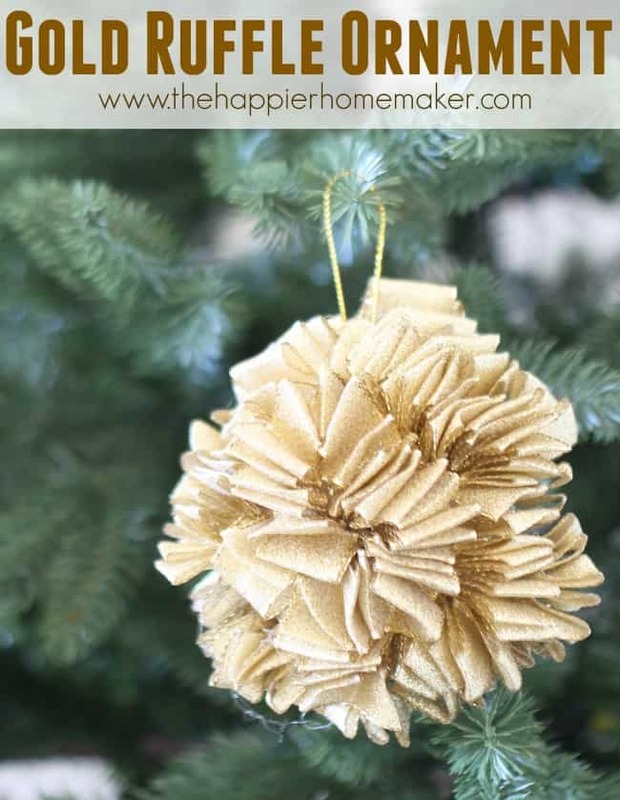 Continue gluing until your ornament is covered, being sure the base of the ruffle is firmly adhered in the glue so it doesn’t separate from the ornament. That’s all! I think it turned out so cute! 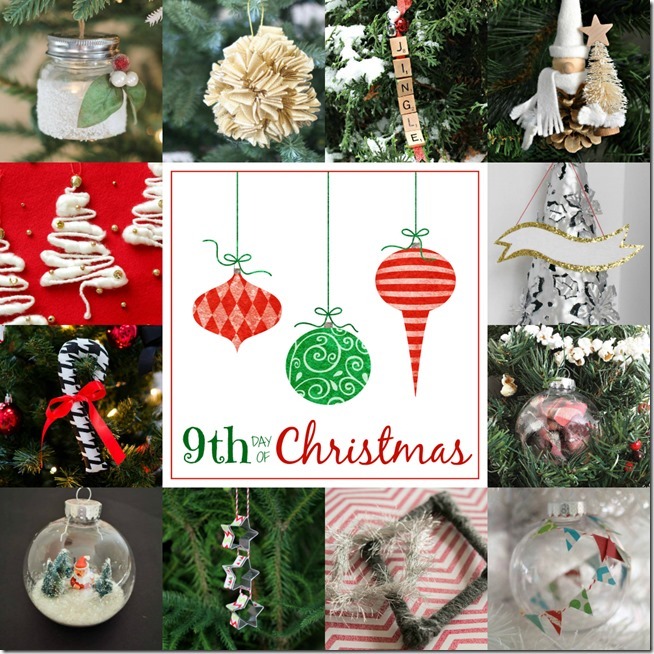 Ready to see the rest of the ornaments being shared today? A different take on a fabric ornament. Love it! I agree! Soooo cute! Love this super original idea, my friend!!! 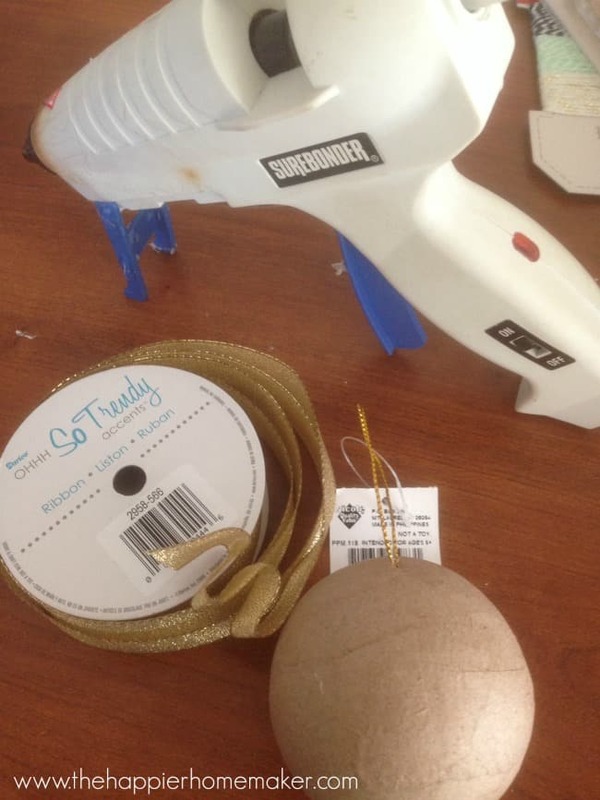 I might try with some burlap – wired burlap ribbon, of course per your instructions!